Keep pests out and Keep your guests in. Pests don’t care how big or small, high end or boutique your property is. They just want in. It takes a unique range of treatments and preventive measures to keep them out. Rocket Pest and Termite has designed a specialised approach that’s as fast paced and versatile in offerings as the hospitality business. We can do it all without bothering your guests since we offer a convenient service schedule with after-hours and weekend services. There’s no disturbance to your guests, from us or from pests. 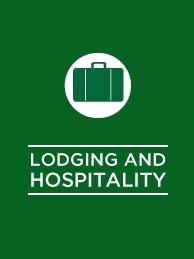 Clients include Hotels, Resorts, Hostels, Backpackers, short and long term accommodation and lodgings.